RON SWARNER: During the month of February, we asked our Peaks and Pints patrons and the public to vote for their favorite pilsners brewed in Washington and Oregon. 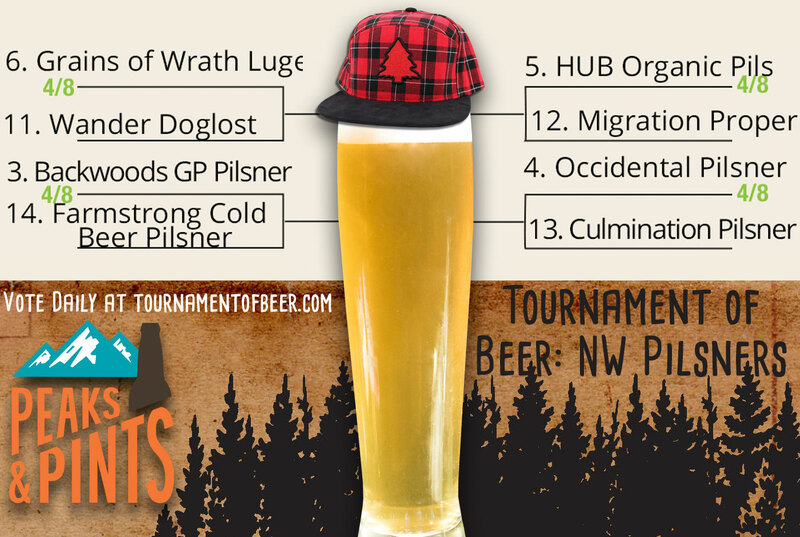 Through an online nomination system, beer enthusiasts listed 81 pilsners with the top 64 seeding the Tournament of Beer: Northwest Pilsners’ knockout bracket, which kicked off Friday when the first eight pilsners met on our wooden floor. This scenario continues Monday through Friday, until the tournament’s final game, April 27. PEAKS AND PINTS WEATHER GUY: My forecast calls for light rain this afternoon on Mailbox Peak close to North Bend. Becoming colder with heavy fall of snow, heaviest during Wednesday night. Expect freeze-thaw conditions. Bartenders wearing Willard Scott masks, replaced my desktop cat pictures with Smucker’s jars. RON SWARNER: With a name like Smucker’s, it has to be good. 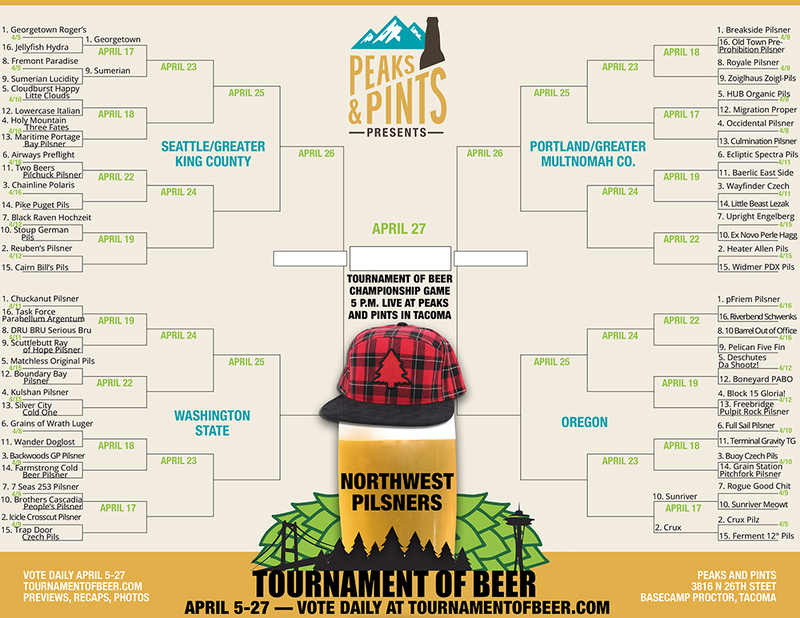 We seeded the top 64 Northwest pilsners voted in four bracket regions — Seattle/Greater King County, Washington state, Portland/Greater Multnomah County and Oregon with one pilsner per brewery. PEAKS AND PINTS WEATHER GUY: Scanning the Peaks and Pints cooler I notice there are way more IPAs than pilsners. Why? RON SWARNER: The main reason is cost. Because it takes three times as long to brew a pilsner than an IPA, a brewer needs three times as many fermenters and storage vessels. The economics favor ale. Secondly, American hops have rightly taken center stage in craft beer. European hops are required to mimic the classic pilsner taste. Many consumers also assume its lighter color and standard alcohol content indicate a lack of flavor. Of course, that is nonsense. A second reason why pilsners aren’t as plentiful as IPAs is that Pilsners are more difficult to make — they require more cooling and their light profile would reveal flaws. A good pilsner is delicately balanced, with a pinpoint crispness of hops rather than the cornucopia of aromas you might find in an IPA. Which shows that Bud’s old ad claiming that, “You can’t hide imperfections in a lager” was only, say, 95 percent crap. 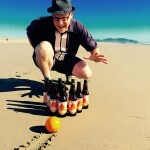 PEAKS AND PINTS WEATHER GUY: Are we ready to launch the next First Round games? RON SWARNER: First, let’s do a quick liver-size check, then dive into today’s First Round pilsner battles. Vote for one pilsner per game. Voting for today’s pilsner battles ends at 11:45 p.m.
RON SWARNER: Craft beer and metal music go together like long hair and leather jackets: both great on its own, yet better together. The metal movement has an outsider ethos and no-holds-barred authenticity that appeals to many brewers, including Grains of Wrath Brewery co-owner and brewmaster Mike Hunsaker. The metal- and punk-loving 48-year-old cut his teeth as a homebrewer and by working for breweries in Chicago and Cleveland, before relocating to Portland in 2014 to become the head brewer at Fat Head’s Brewery, where he became known for original west coast IPA recipes like SemperFiPA and his GABF Gold Medal-winning Blitzkrieg Bock. 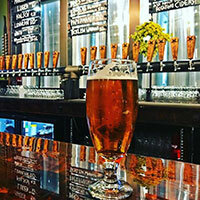 Fat Head’s closed, which lead to Hunsaker opening his new punk and metal inspired new brewery Grains of Wrath in Camas, Washington, with backers Brendan Greenen, Shawn Parker, and Brendan Ford. Their German-style pilsner, Luger, grabbed gold at last year’s Washington Beer Awards for its floral black tea, crackery malt, and hay flavors with a crisp finish. It has enough spicy German hops to please a west coast fan, but without the overly bitterness of some that hit you over the head. PEAKS AND PINTS WEATHER GUY: I wonder if Grains of Wraith will let my nu-Nintendocore band Snow Level perform in their brewhouse. RON SWARNER: Colleen and Chad Kuehl wandered into each other at the University of Iowa many years ago, then wandered around the world. Then engineer Chad wondered about craft beer, eventually attending the American Brewer’s Guild in 2011 before working at Hilliard’s Beer in Seattle. They wondered what would happen if they started Wander Brewing in Bellingham. After brewing Doglost pilsner we wonder if they wonder how they could ever top it. The Kuehls bring in the malts, along with Merkur and Hersbrucker hops, straight from Germany to craft Doglost. 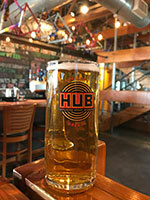 The result of their German-via-Northwest pilsner is a light, crisp, refreshing and clean lager with a gentle hop zing. It hits the nose with light grass and grain with a little lemon, followed by subtle notes of nut, splash of citrus, light bitterness and grainy. PEAKS AND PINTS WEATHER GUY: Once, I yanked my childhood dog’s tail with pliers. RON SWARNER: In 1880 A. S. Estabrook built the first sawmill in Wind River Valley, a waterpower concern on Carson Creek in Skamania County, Washington. The following year, a company built a good-sized steam sawmill where the town of Carson now stands. The lumber industry has since left Carson, but Backwoods Brewing Co. pours craft beers and serves delicious pizza for flannel-wearing folk in the town. 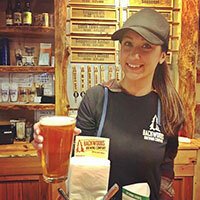 Backwoods’ taproom sits at the gateway to the Gifford Pinchot National Forest, Old Man’s Pass and Mt. St. Helens. The Gifford Pinchot National Forest is one of the oldest National Forests in the United States. Included as part of the Mount Rainier Forest Reserve in 1897, this area was set aside as the Columbia National Forest in 1908. It was renamed the Gifford Pinchot National Forest in 1949. Backwoods co-owner Kevin Waters has a fondness for the forest as well as pilsners after a visit to Prague, the capital of the Czech republic and home to many a pilsner. Kevin brewed his Gifford Pinchot Pilsner the Czech way with Czech Saaz hops for a spicy floral aroma with grassy notes and a clean, crisp finish. Kevin Waters has a baby girl and lost a ton of weight. He’s focused and will be tough to beat. PEAKS AND PINTS WEATHER GUY: Especially if Backwoods fires up their pizza oven. So good! RON SWARNER: When Dan Cameron, Mike Armstrong and Todd Owsley opened Farmstrong Brewing in September 2015 their number one goal was to partner with local farmers and producers to bring fresh beer and food to the community, as well as a line of “Estate” beers using local ingredients. Last month, remaining owners Cameron and Owsley announced that all, 100 percent, their beer would be made from local Skagit Valley Malt. 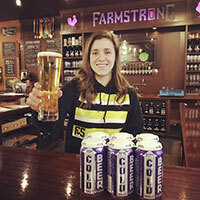 “Every glass of Farmstrong beer now comes from grain that was grown, malted, and brewed within a 10-mile radius,” stated Farmstrong hype. Reducing their carbon footprint, showcasing the terroir of their surrounding land — the name for their pilsner, Cold Beer Skagit Pilsner,” has never been more true. Under the supervision of head brewer Thane Tupper, former brewer at Mac & Jack’s, Elysian, and pFriem; their insanely sessionable pilsner grabbed a silver medal at the 2018 Washington Beer Awards. RON SWARNER: What began in a former bulldozer showroom on Portland’s Southeast Powell Boulevard is now something of an empire. Hopworks Urban Brewery peddles a bike-themed outpost on North Williams Avenue and a hulking 6,000-square-foot brewery on the eastern edge of Vancouver. HUB’s Northwest-style pilsner is all malt all the time with spicy and herbal notes from organic Perle hops balancing the delicate honey flavor from organic malts. This golden lager is dry and refreshing with surprising depth of character. Bonus: One percent of HUB’s sales goes to environmental causes, so you help the planet by drinking them all. PEAKS AND PINTS WEATHER GUY: I’m in. 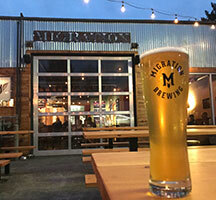 RON SWARNER: Since opening in 2010 in Northeast Portland, Migration Brewing has added a production facility and brewpub in Gresham filling the 20,000 sq. ft. building with 17,000 housing a new 20-BARREL brewhouse and the rest a brewpub. The brewery’s German style Proper Pilsner is bright yellow to deep golden in color, light-bodied, well-balanced, crisp and clean. It has a crisp, clean, herbal flavor with a lemony nose and moderate bitterness. PEAKS AND PINTS WEATHER GUY: Their Portland brewpub has two bars and a sweet patio. 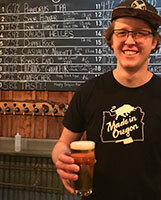 RON SWARNER: Long before the Portland neighborhood of St. Johns finally hit its long-anticipated growth spurt, the Occidental Brewing Company set up shop near the bridge and quietly started brewing some of the best German-style ales and lagers in Oregon. Thanks to an expansion into a Wursthaus, you can get a grilled brat, as well as a number of other options, to go with your Bohemian-style pilsner. 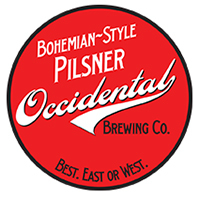 Occidental Brewing Co. was founded in 2011 by Ben and Dan Engler. Focusing on largely traditional continental European beer styles, Occidental has won numerous awards. Plus, gotta love a pilsner in a big-boy, 16-ounce tallboy can. It’s an easy-drinking, Bohemian style pilsner on the fruity/malty/grainy/grassy side of things, but gets a crisp kick from the Czech Saaz hops. PEAKS AND PINTS WEATHER GUY: Because I’m easy come, easy go; a little high, little low. RON SWARNER: Culmination Head Brewer Conrad Andrus is the man. The Salt Lake City native wasn’t of age when he became enamored with the craft lagers sold his new home of Portland. At age 21 he joined Breakside Brewing as an intern, and went on to be one of the founders of Beer Store Milwaukie, a taproom and bottle shop. He also ran the packaging lines and contributed to recipe development at Craft Canning and Bottling. Next, Andrus joined Certified Master Brewer Tomas Sluiter, helping him with the build-out of Culmination Brewing. In 2015, Andrus signed on as production manager at Culmination and was promoted to head brewer one year in. He now oversees the barrel-aging program and has influences almost all of the nearly 250 beers Culmination has released, including their Czech Pilsner. Andrus will sometimes even deliver his beer to Peaks and Pints himself. Besides light dry cereal and grains, I get a little minor yeast when I dip my nose into his pilsner. Expect a bit of citrus on the front and soft grassy bitters on the back. PEAKS AND PINTS WEATHER GUY: You have a man crush on him, don’t you? You could have at least asked him what malts and hops are in his pilsner.